I was catastrophizing last night and this morning. Yesterday my car started making a weird noise, and well let's face it, my car is 15 years old so I started to think the worst. It is going to wipe out my measly savings, what will I do without a car, my life as I have known it is over. A bit dramatic, yes, but I haven't had the best luck with mechanics. So, I looked on line and found a local mechanic with a five star rating. Took my car in and there was Tony. (wish I was 30 years younger). Turns out it was just a caliper and he can fix it for 80+ dollars. He also gave me a tip for my sputtering that has been going on for two years. Fill it once with high octane gas and that should clean it out. Hooray!! I think I'm in love. 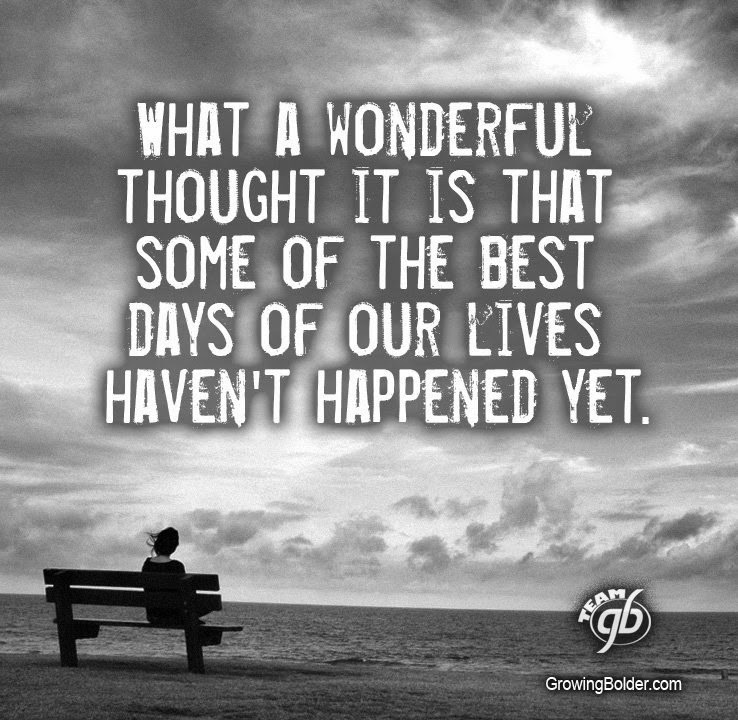 We all have have had bad days, or weeks, or months, or even years, but that just means that the future holds something wonderful. Hope today is one of your best days ever. so glad you found tony. bless him! I'm happy it wasn't as worse as you thought. I do that a lot and I know it's not good. I guess I'm trying to be prepared but it really doesn't make sense. What a doll Tony is (!!!). I have a plumber like that! It was so nice to find an old fashioned mechanic who really cares about his customers and isn't out to gouge you. Laura, this post is timely in my life. Even though I know better days are ahead, sometimes it is surely a struggle walking through the days that take us there. I'm so grateful for the strength I find in my faith. Faith is a wonderful thing to get us through, Dayle. It's still hard sometimes not to worry. Knock on wood, I really haven't had to take this car to a mechanic. I've been very lucky with it. It's a 2006 Nissan Pathfinder. My car only has 79,000 miles on it, which is low for its age, but still things do tend to wear out after that long. I'm glad you are having such great luck with your Pathfinder. That quote has to be one of the most inspiring I've read in a long time...looking forward to those best days...they are going to be wonderful. Thanks so much Laura for the G+ boost! You're welcome, Jen. I love your posts and always want to share them. It is gerat to find what you want when you need it. I was really surprised when I saw that him as I assumed he would be an old timer. Nice to see there are younger people who still believe in good service. Yay for Tony! I love this thought! Yes, I do believe that some of my best days are yet to come. I've found new meaning in life since becoming a Grandma! I know, Linda. Isn't it wonderful being a grandmother. I love it. Someone told me recently, "God must be getting you ready for a great testimony because you sure have had the tests." I'm waiting. Have a great week. You always inspire me to hold on. Your words are always an encouragement. So glAd it was a easy fix. Cars are expensive. Me too, Debby. I hate expensive repairs. Hi Laura...You are so right that sometimes we think things are worse than they actually are. I am so glad the car repair job was manageable and a lot less than you thought it would be. Susan p.s. Thanks for your visits! I love that quote! I haven't heard it before but will hold on to that next time I'm feeling upset about something. So glad that you found an honest mechanic and got it fixed for a fair price. My brother owns his own mechanics shop so after my car is out of warranty, that's where I will go. Always nice to have one in the family!